In the early 90's, Boyd Coddington was involved in a booming "sport truck" scene. His shop was building numerous Chevy trucks, with the ubiquitous 4/6 drop, smooth roll pan, monochrome paint and then vogue 15-inch billet wheels. The industry and trends have changed tremendously over the years, yet some things remain the same. Boyd is as popular as ever, and he is still building trucks as well as custom wheels with cutting-edge style. 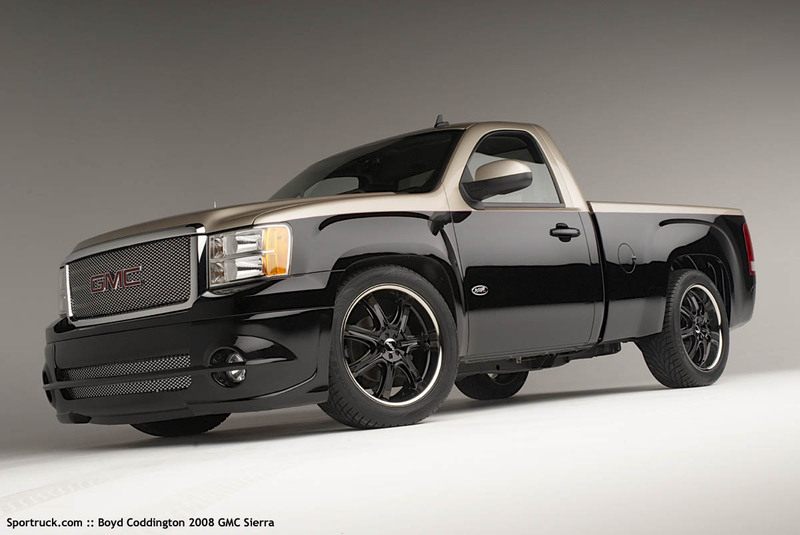 This 2008 GMC 1/2-ton standard cab truck was commissioned for the 2007 SEMA show to debut a new wheel style, the Boyd Coddington Kingpin. 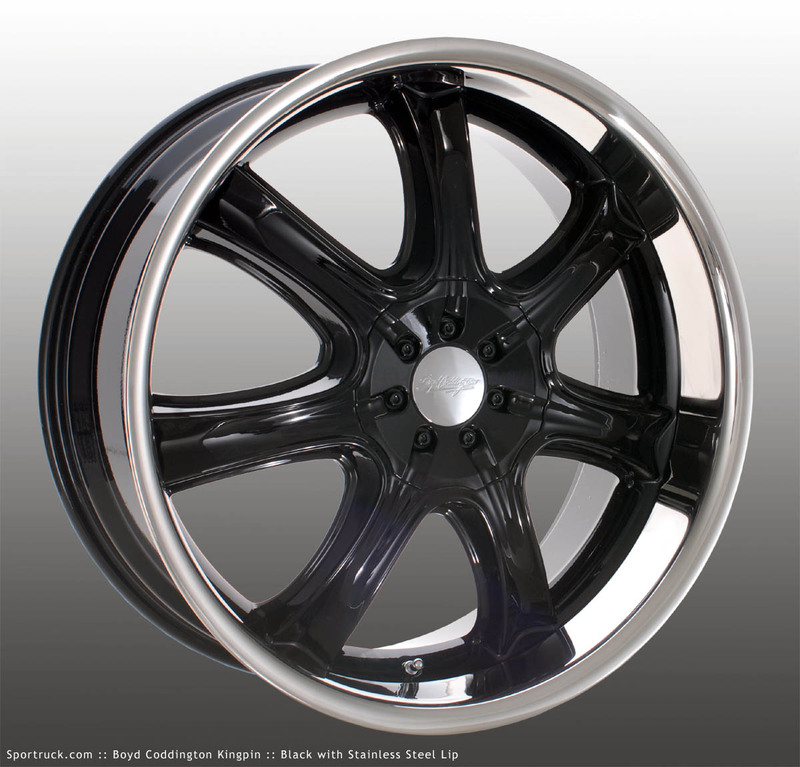 Designed specifically for late-model trucks and SUV, this wheel comes in large sizes with two finishes to meet modern demand. 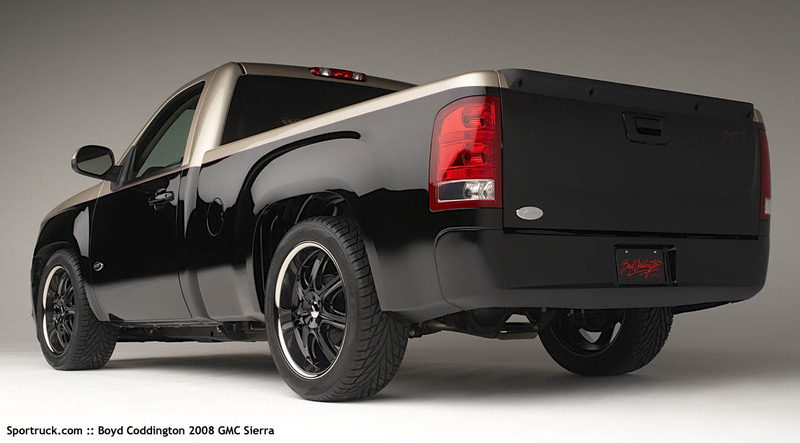 Boyd opted to use the black version featuring a stainless steel lip for this truck, instead of the more traditional chrome finish. 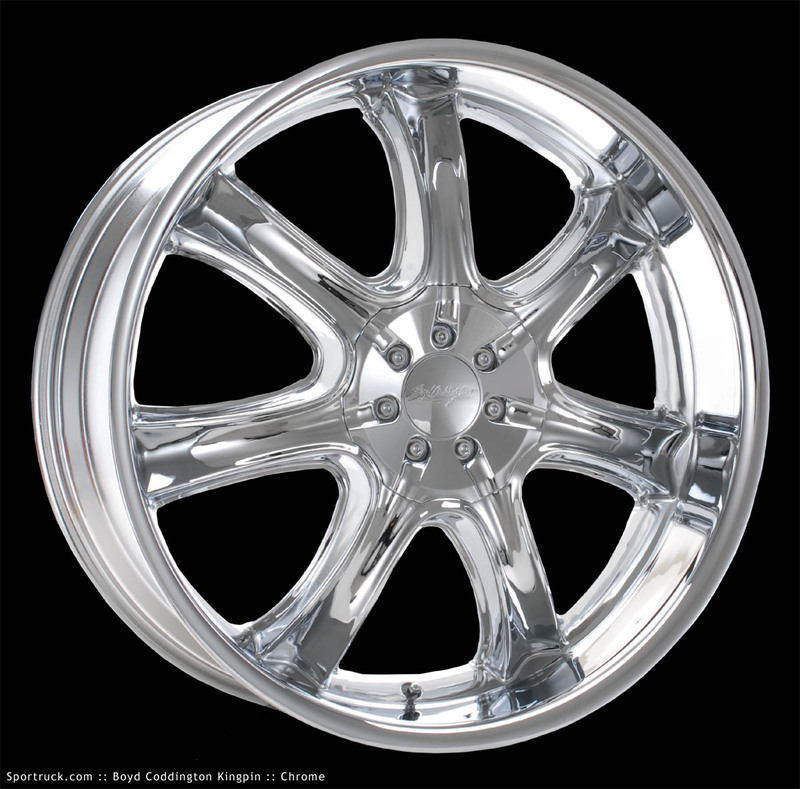 The 22x9.5 wheels wear aggressive Toyo Proxes S/T tires. 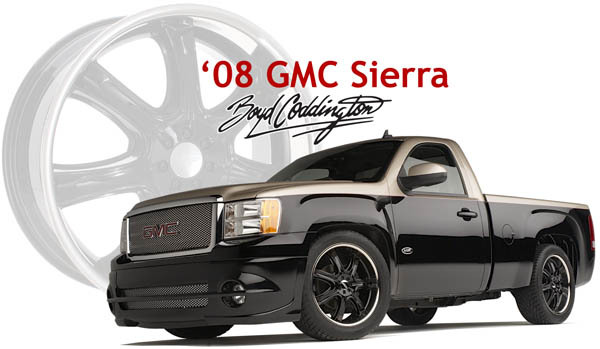 The Sierra was fitted with the latest styling products from Street Scene including an SS-Series front valence and rear roll pan. 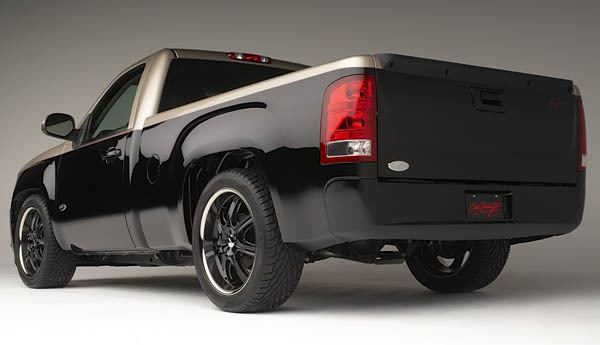 Once stripped of its stock badging, the truck was wheeled over to Boyd's Hot Rod Shop where it received a two-tone paint treatment of DuPont champagne over black to augment the visual appeal. A set of Street Scene Mesh Grilles were fitted in the front openings, and a set of custom billet Boyd Coddington badges complete the exterior package. On the inside, the stock seats were covered in custom two-tone embroidered leather and suede by Classic Soft Trim. Nu-image stepped in with signature Boyd Coddington instrument faces and gauge overlay. Anything that Boyd touches receives a street-friendly stance, and this truck is no expection. The truck was brought down to earth with Ground Force lowering components. The look is backed by a healthy growl thanks to a stainless steel exhaust system from Magnaflow that exits in front of the rear tire.